It’s about an artist/photographer — Robert Sturman — have you heard of him yet? Well, he takes these beautiful — no, gorgeous images of people doing Yoga. Yoga. Photography. Have you noticed that those are two of my three loves? I have an amazing yoga teacher who opened a studio on her beautiful property just a 3 minute drive from my house and since I’ve been taking her classes my practice has deepened in a way I never thought possible. So, I thought, why not offer to take some pictures of my teacher practicing Yoga, and, maybe, portray her as beautifully as Robert Sturman has portrayed his subjects. I made the offer and hoped that she would take me up on it. Well, one day, she called me out of the blue and told me that her Yoga teachers, Todd Norian and Ann Greene of Deep Peace Yoga, were coming to her studio so that she could take pictures of them for their website. I had expressed an interest in doing some Yoga photography. Was I interested in participating in this shoot? Absolutely. With the help of my husband and teenage son, we threw together some lights and stands and headed over to Cathy’s studio to meet Todd and Ann. I have to admit, I was feeling the nerves that come on with the responsibility of standing behind the camera hoping to create “great art.” Or even just “art.” Oy. I think that’s why I don’t go out there and sell myself more. Making people look good, even if they already look pretty fabulous, can be a lot of pressure. But after the lights were set up and we started talking and taking pictures, we all started to warm up; Todd and Ann into the poses in which they are so masterful and full of grace, me behind my camera which has been the way I see my world for so long that it seems just another appendage. Everything seemed to take on the same flow: the Yoga and the images, all part of a bigger experience. I think what I loved the most about being able to photograph Todd and Ann was how very humble they were in their own practices. I think that’s what “practicing” Yoga is all about. 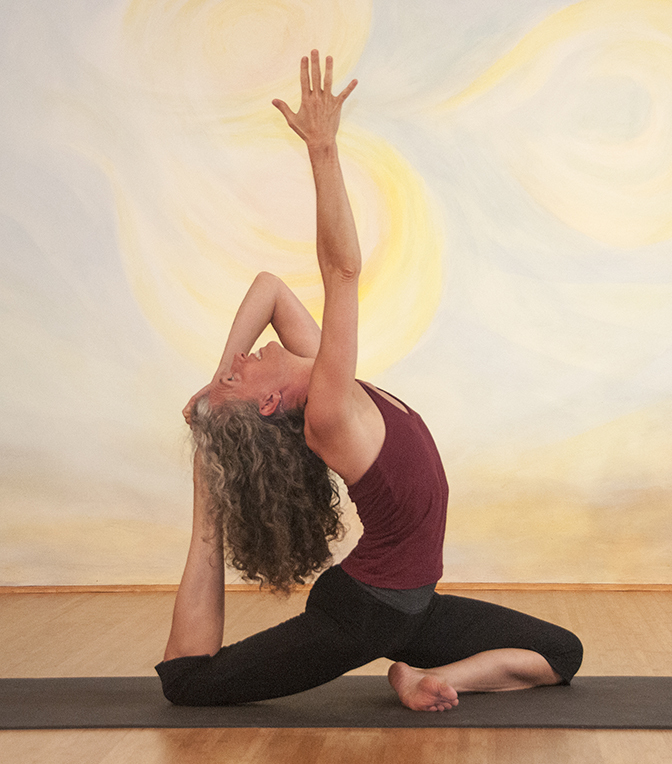 Even if you have reached a level that people would call masterful, you are still just learning and striving to be better, more flexible, more loving, more forgiving and more receptive of what each pose has to offer. Ultimately, I am happy with the shoot and how it came out, but that’s not to say I didn’t have my moment of tearing my hair out and criticizing each image first. It’s unfortunately, in my nature to hope for perfection and beat myself up until I find a happy medium. I am hoping that Todd and Ann like the images I gave them and use a few on their website but really, I am happy that I had the moment. In a way, the shoot itself was more than enough and the lovely outcome, gravy. ~ by photobella on 12 October, 2012.